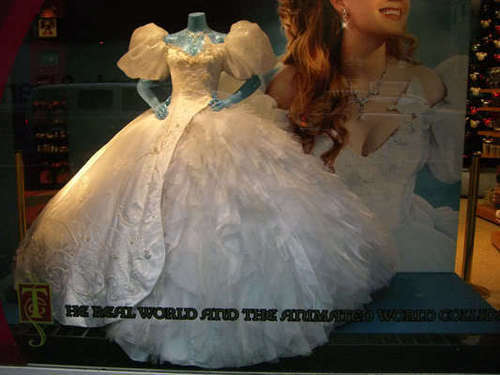 Amy Adams wedding dress on display. . Wallpaper and background images in the Riselle(Robert/Giselle) encantada club tagged: giselle romance walt disney enchanted amy adams. This Riselle(Robert/Giselle) encantada photo might contain hoopskirt, crinolina, legal, and da crinolina.